Oh No! Doctor Boson has accidentally set in motion a nuclear chain reaction of epic proportions and the fate of the entire universe is at stake! Only you, with the good Doctor's guidance and his latest invention, the Atomixer Device, can save us from this peril! Will you rise to the challenge? 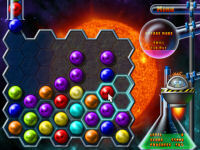 Atomixer is a fun and addictive game for arcade and puzzle lovers alike. Arcade mode provides a fast paced challenge as you fight against the clock and the relentless Atom Dropper to keep the Atomixer Device from overloading! 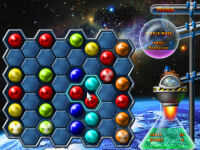 Puzzle mode will put your brain to the test with a large number of fiendish puzzles to solve! 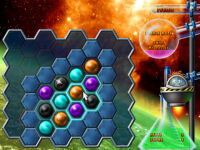 Three Arcade skill levels - Lab Rat, Professor and Mad Scientist!